NAVIGATION, POWER LIFTGATE AND LEATHER!!! 22/31 City/Highway MPG Bill Luke Tempe is a family owned and operated business that has done business the right way since 1927. You can buy with confidence! Bill Luke Tempe's price is based on Kelley Blue Book Price AdvisorTM - which allows you to see what other Arizona residents have paid for the same year, make and model of vehicle while considering vehicle mileage. See dealer for details or visit www.billluketempe.com to see the difference for yourself! GOING TO AUCTION!! YOUR GOING TO MISS THIS PRICE!! CALL NOW! !, NAVIGATION, POWER LIFT GATE AND LEATHER!!. Odometer is 3458 miles below market average! 22/31 City/Highway MPG Bill Luke Tempe is a family owned and operated business that has done business the right way since 1927. You can buy with confidence! Unlike our competitors, we DO NOT CHARGE for UNWANTED DEALER ADDS and our RECONDITIONING COSTS are INCLUDED in the sales price. Bill Luke Tempe's price is based on Kelley Blue Book Price AdvisorTM - which allows you to see what other Arizona residents have paid for the same year, make and model of vehicle while considering vehicle mileage. See dealer for details or visit www.billluketempe.com to see the difference for yourself! New Price! GOING TO AUCTION!! YOUR GOING TO MISS THIS PRICE!! CALL NOW! !, MOON ROOF, NAVIGATION AND LEATHER!!!. 20/30 City/Highway MPG Bill Luke Tempe is a family owned and operated business that has done business the right way since 1927. You can buy with confidence! Unlike our competitors, we DO NOT CHARGE for UNWANTED DEALER ADDS and our RECONDITIONING COSTS are INCLUDED in the sales price. 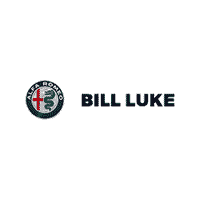 Bill Luke Tempe's price is based on Kelley Blue Book Price AdvisorTM - which allows you to see what other Arizona residents have paid for the same year, make and model of vehicle while considering vehicle mileage. See dealer for details or visit www.billluketempe.com to see the difference for yourself! BLACK WHEEL PACKAGE, POWER LIFTGATE AND LEATHER!!! Odometer is 1430 miles below market average! Bill Luke Tempe is a family owned and operated business that has done business the right way since 1927. You can buy with confidence! Unlike our competitors, we DO NOT CHARGE for UNWANTED DEALER ADDS and our RECONDITIONING COSTS are INCLUDED in the sales price. Bill Luke Tempe's price is based on Kelley Blue Book Price AdvisorTM - which allows you to see what other Arizona residents have paid for the same year, make and model of vehicle while considering vehicle mileage. See dealer for details or visit www.billluketempe.com to see the difference for yourself! GOING TO AUCTION!! YOUR GOING TO MISS THIS PRICE!! CALL NOW! !, PAINTED HARD TOP!!!. Odometer is 2667 miles below market average! Bill Luke Tempe is a family owned and operated business that has done business the right way since 1927. You can buy with confidence! Unlike our competitors, we DO NOT CHARGE for UNWANTED DEALER ADDS and our RECONDITIONING COSTS are INCLUDED in the sales price. Bill Luke Tempe's price is based on Kelley Blue Book Price AdvisorTM - which allows you to see what other Arizona residents have paid for the same year, make and model of vehicle while considering vehicle mileage. See dealer for details or visit www.billluketempe.com to see the difference for yourself! GOING TO AUCTION!! YOUR GOING TO MISS THIS PRICE!! CALL NOW! !, HEATED AND COOLED SEATS, NAVIGATION, POWER LIFTGATE AND LEATHER!!. Odometer is 7140 miles below market average! Bill Luke Tempe is a family owned and operated business that has done business the right way since 1927. You can buy with confidence! Unlike our competitors, we DO NOT CHARGE for UNWANTED DEALER ADDS and our RECONDITIONING COSTS are INCLUDED in the sales price. Bill Luke Tempe's price is based on Kelley Blue Book Price AdvisorTM - which allows you to see what other Arizona residents have paid for the same year, make and model of vehicle while considering vehicle mileage. See dealer for details or visit www.billluketempe.com to see the difference for yourself!